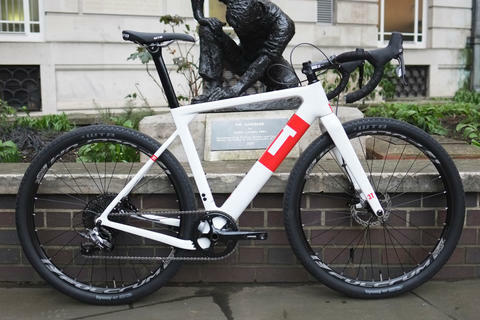 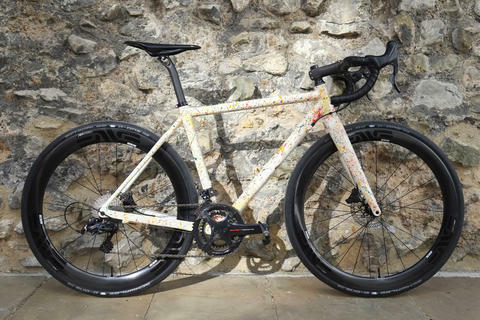 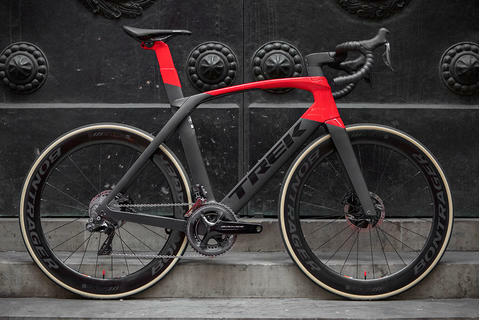 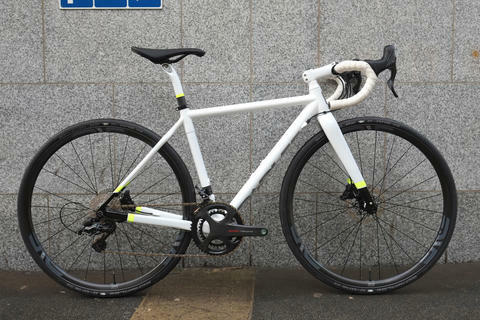 Trek's Project One allows you to build your own top of the range Trek exactly how you want, in colours of your own choosing. 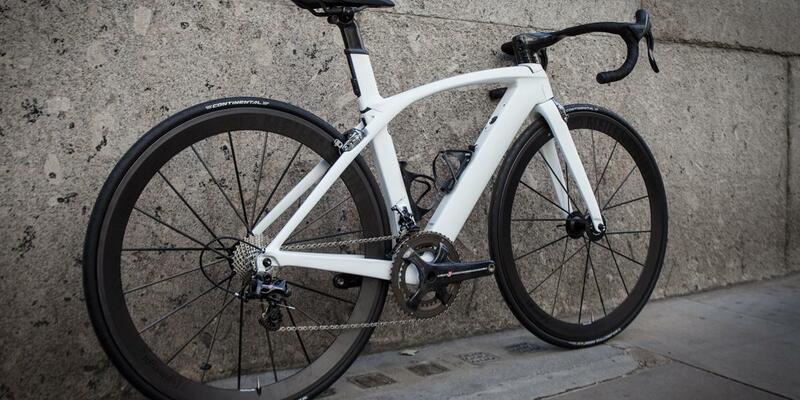 This Project One Madone is a stunning take on the Wisconsin marque's superbike. 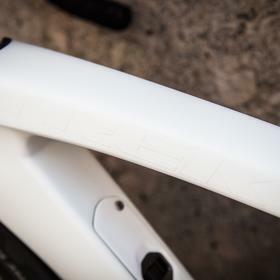 Matte white, with matte white relief logos, really brings out the lines of the aggressive H1 geometry. 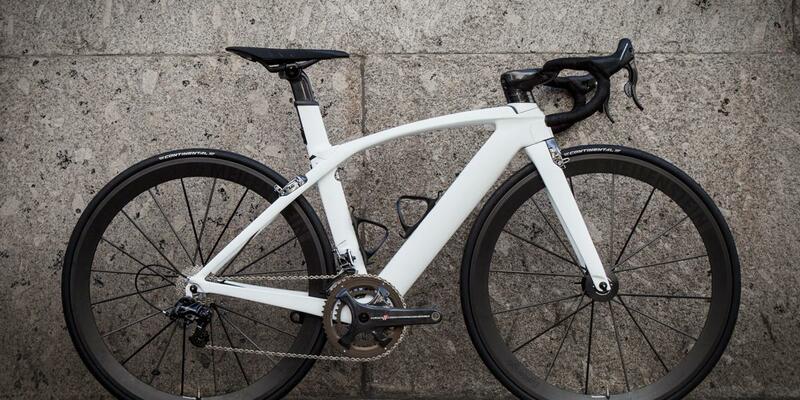 With everything else in black, the contrast is stunning. 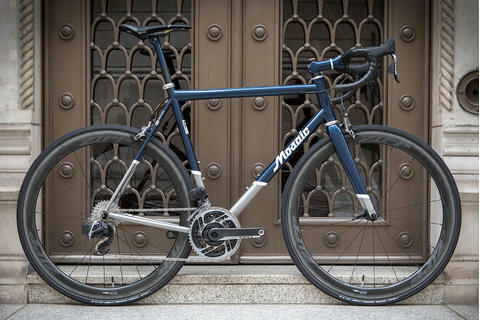 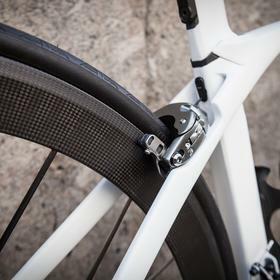 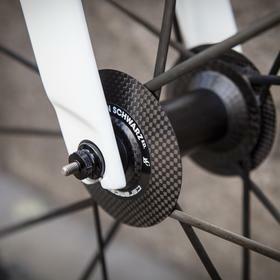 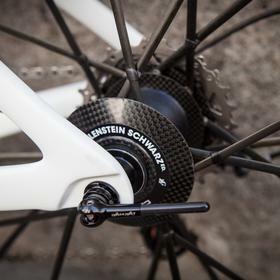 Lightweight Meilenstein Schwarz Edition wheels bring German carbon technology to the Wisconsin built frameset. 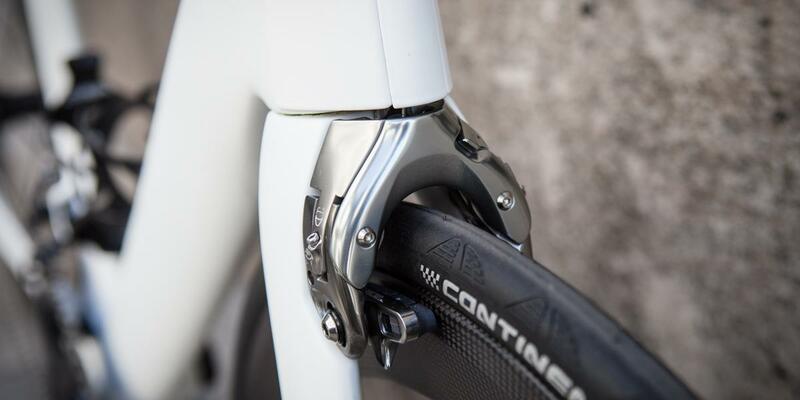 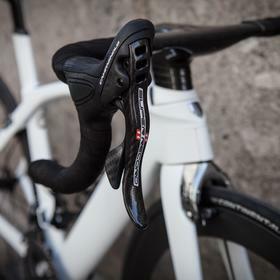 Unbelievably light and incredibly stiff, these will really bring out the inherent speed of the Madone. 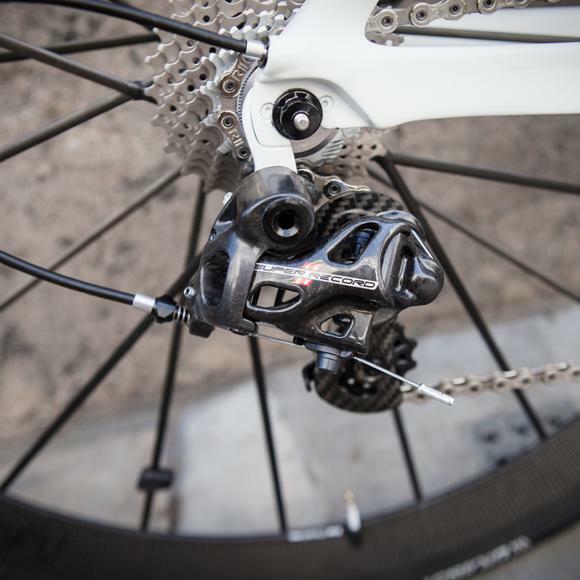 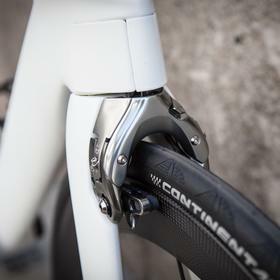 Choosing Project One means you can get the groupset you love, regardless of what the manufacturers want you to ride. 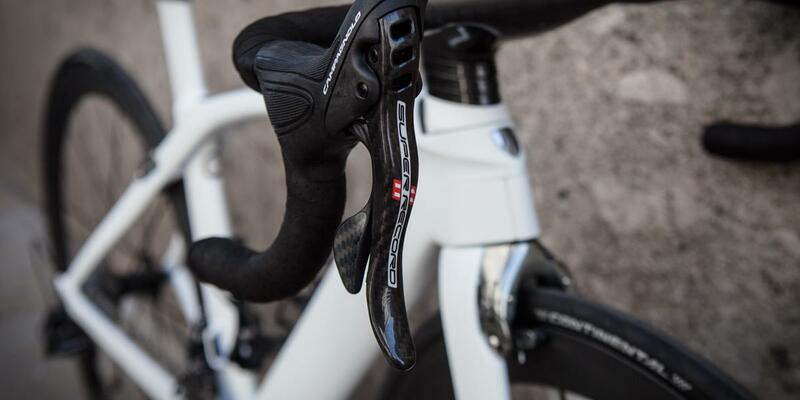 Campag Super Record looks just stunning here. 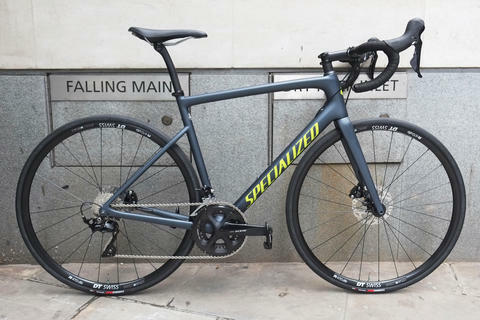 This build is just carbon, carbon, carbon... 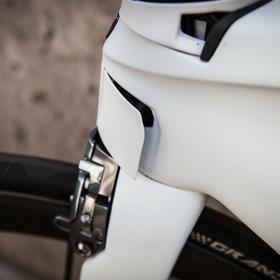 The Fizik Arione saddle adds a further touch of Italian tech to the build. 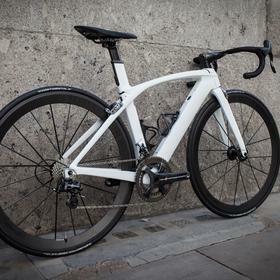 For your own Project One superbike build come and see us at Bespoke.